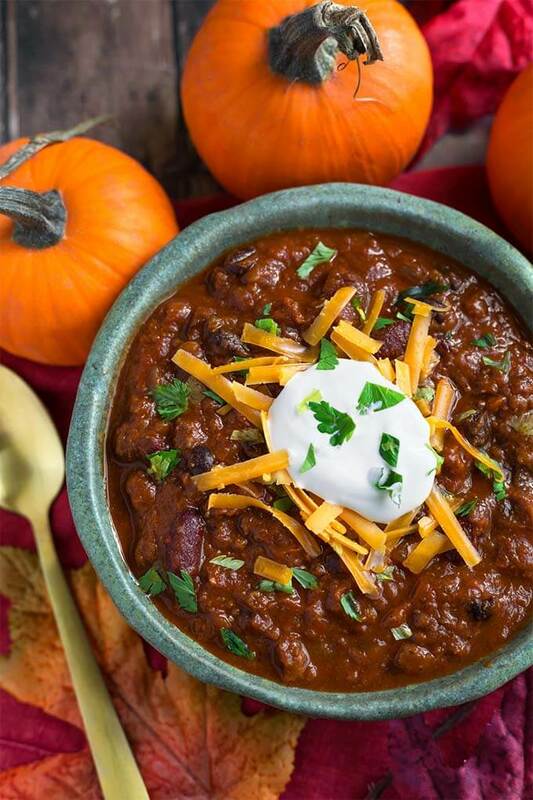 Instant Pot Pumpkin Chili is a delicious Fall comfort food. A hearty chili that isn’t too heavy, with the addition of creamy, healthy pumpkin puree. 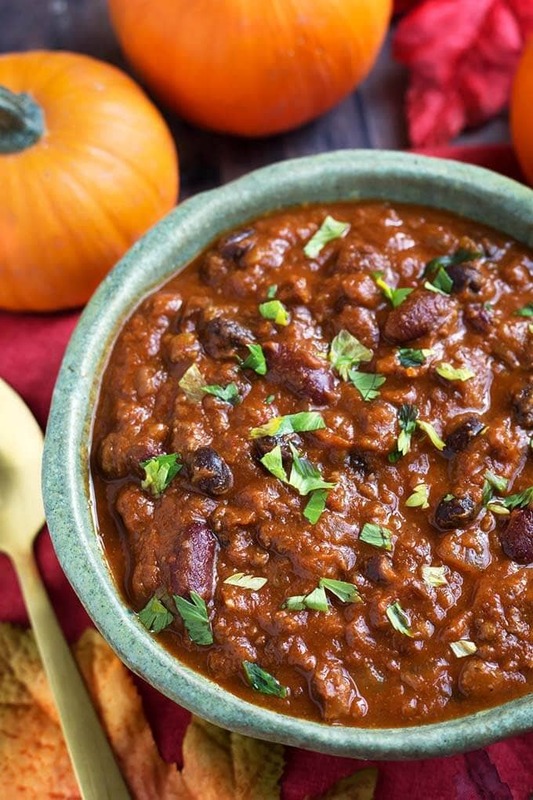 Pressure cooker pumpkin chili is so flavorful and satisfying! Hello Fall! Hello crisp air, sweaters, boots, and pumpkin spice everything! This is a beautiful season, and I love it. Confession: Spring is my favorite, but the Fall is the next best season! One thing is for sure, Fall comfort food is my favorite! I make chili all year long, and it is a family favorite. There are so many ways to make it, and each season lends a flavor that makes for a unique chili! It’s fun to switch it up! This time of year you might see the cute little Sugar Pie Pumpkins for sale. These are what you want to use if you are making your own pumpkin puree. My recipe for Homemade Instant Pot Pumpkin Puree is so easy, and you can use the puree for pumpkin pie, cheesecake, smoothies, and this chili! 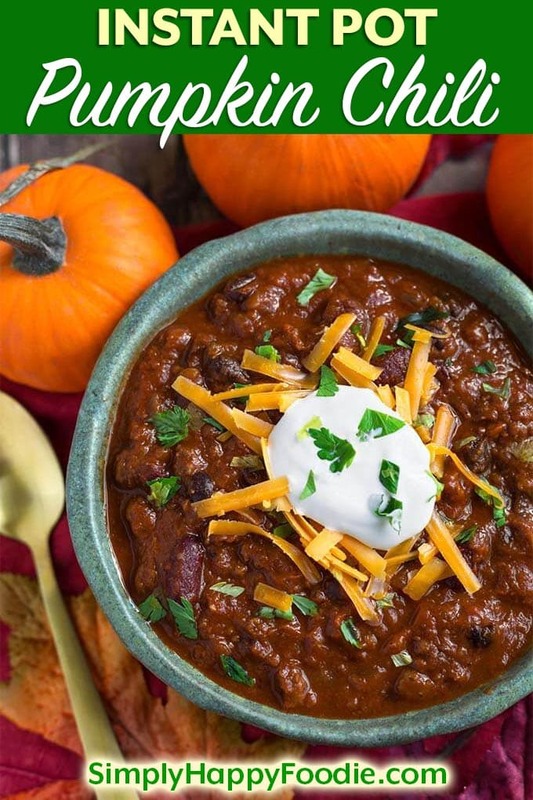 Making Instant Pot Pumpkin Chili is much faster than stove top, so this recipe is perfect for a weeknight, or Game Day, and after church. Confession: My hubby strongly dislikes pumpkin, or any kind of squash. When I make this Instant Pot Pumpkin Chili I don’t tell him that it has pumpkin in it! He doesn’t know, and loves it! I’m so bad! 😀 I don’t think he’d mind, but it’s kind of fun this way! 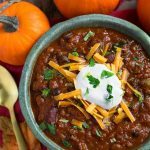 Instant Pot Pumpkin Chili is a delicious Fall comfort food. A hearty chili that isn't too heavy, with the addition of creamy, healthy pumpkin puree. 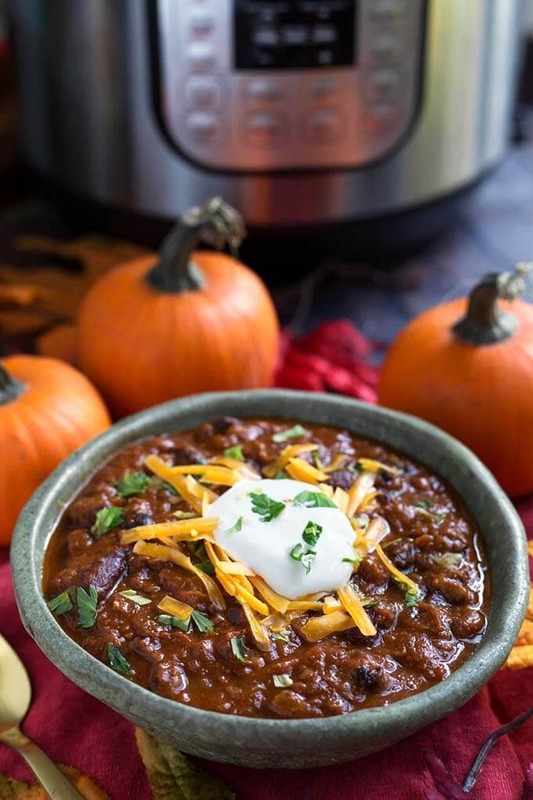 Pressure cooker pumpkin chili is so flavorful and satisfying! Have all of the ingredients ready: chopped, measured, and cans opened, before you start! Turn on the pot's Sauté setting. Add the ground beef, onion, and the bay leaf. Cook, stirring occasionally and breaking up the meat, until mostly done. Add the garlic and cook, stirring frequently, for 30 seconds. Add the oregano, cumin, chili powder, smoked paprika, cinnamon, and salt. Stir. Add the green chiles, chicken broth, the chipotle pepper & adobo sauce, and all of the beans. Stir. Add the diced tomatoes and their juice.Don't stir. Add the pumpkin by spoonfuls on top. Don't stir it in. Do the same with the tomato paste (by not stirring you are avoiding the possibility of getting the dreaded "Burn" message from it being too thick). Cancel the Sauté setting and close the lid. Set the steam release knob to the Sealing position. Press the Pressure Cook/Manual button or dial, then the +/- button or dial to select 10 minutes. High pressure. The pot will take several minutes to come to pressure. When the cook cycle has finished, let the pot sit undisturbed for 15 minutes (15 minute natural release). Then manually Quick Release the remaining steam/pressure by turning the steam release knob to the Venting position. When the pin in the lid drops down, open the lid and carefully stir the chili. Taste and adjust salt if needed. Serve with your favorite garnishes on top. Some suggestions are: cheese, sour cream, avocado, crushed tortilla chips, onion, cilantro, or whatever you like! Soak the beans overnight, then cook about 25 minutes, 15 minute NPR. It will require more liquid, possibly 2 cups more. I haven’t tested this with this recipe, but that may be a good starting point. Please let me know if it works for you. Sounds yummy. I love chili. How spicy is this? I love spice, but I’m also cooking for Mom and Dad and Dad likes chili. He doesn’t do too spicy, however. It’s not that spicy, however you can omit the chipotle and just use some of the adobo sauce and it will take the heat down.